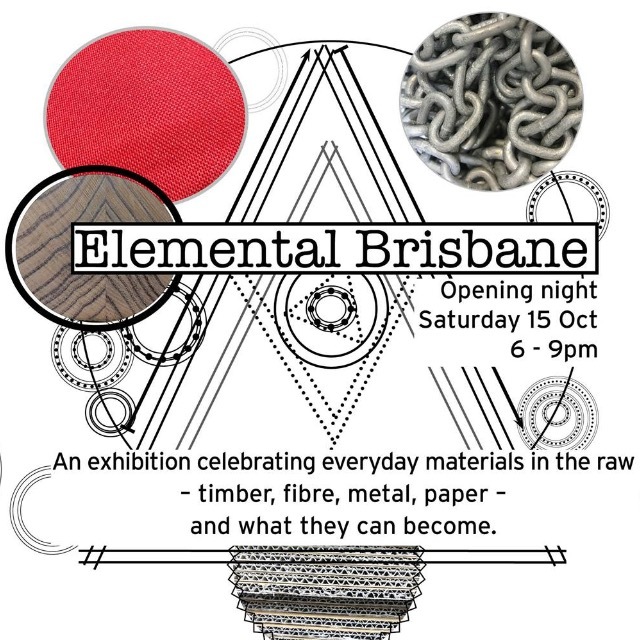 Mabina Alaka - jewellery workshop | Mabina Alaka Design Brisbane. 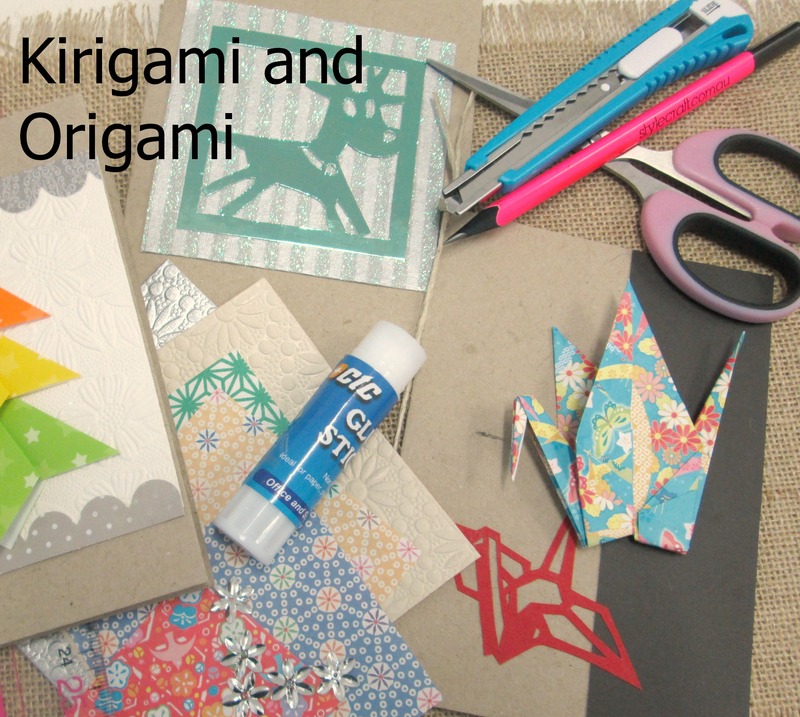 Kirie ( kirogami), Japanese gift wrapping and more ! Join Japanese designer Mabina Alaka for this popular beginners workshop, learning to create traditional Japanese kanzashi flowers from folded fabric. Mabina will show you how to make the petals and other elements for a brooch. Check out the other craft workshops available in the Library Shop this summer, to learn other skills from local artists. Suitable for beginners ages 12+. 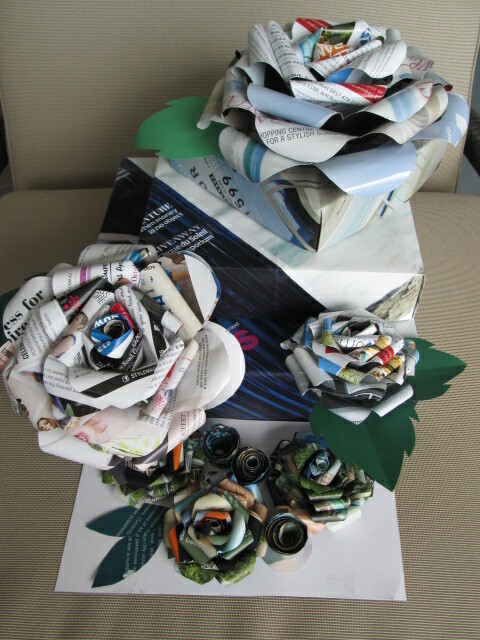 I have prepared the paper decoration for this event !! Our most popular introductory workshop is back with Japanese designer Mabina Alaka as she shares how to create traditional Japanese kanzashi flowers form folded fabric. 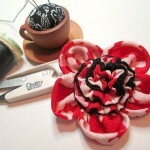 Learn to make individual petals first to create your own flower brooch. All materials are provided, and you can purchase additional kits and equipment, as well as stunning ready-made pieces by the artist to inspire your crafting at home. Learn how to create a Japanese style flower brooch with Mabina Alaka. 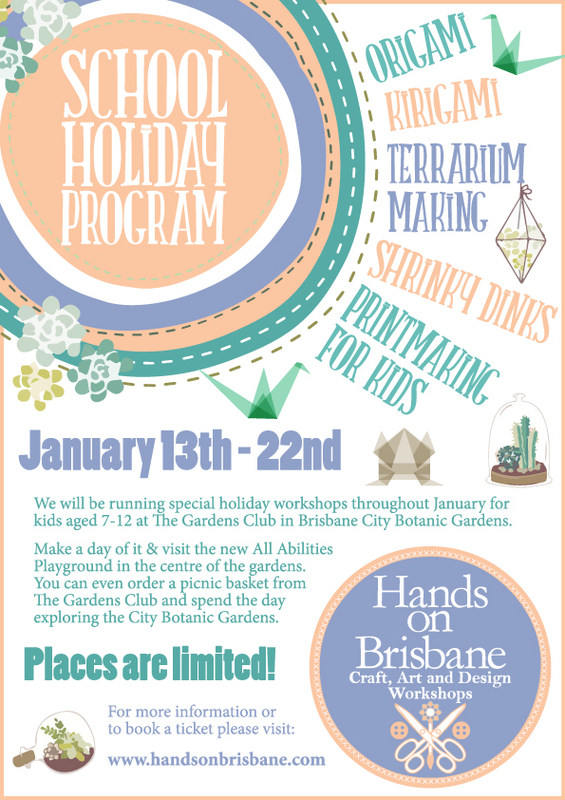 This workshops will take you through the process of choosing fabrics and cutting your template, stitching and connecting each element of the flower and assembling the flower brooch. Mabina will work with each participant to make sure everyone executes each step correctly and can make more flowers at home. In this workshop you will create a brooch but you can create more flowers at home and turn them into anything you like, from fabric flowers to a vase, to napkin holders. Small class size of a maximum of 10 means everyone gets lots of attention! 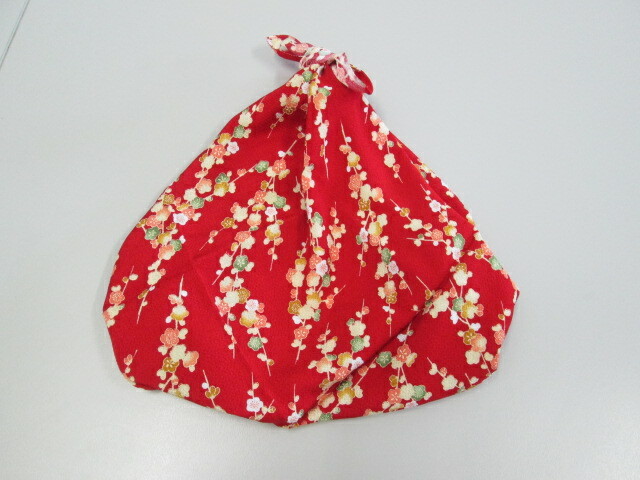 Learn how to make bags out of square Japanese furoshiki material, gift wraps using fabric squares, an origami box, and other wrapping techniques. Join local jewellery designer Mabina Alaka for a hands-on workshop creating traditional Japanese kanzashi flowers from fabric. If you’ve attended one of Mabina’s introductory kanzashi workshops, come along to build on your skills and learn additional techniques. Kanzashi tools will be available to purchase on the night. Join paper artist Mabina Alaka for a hands-on workshop on cutting paper in the Japanese chigiri-e and kirigami styles. The ancient art form, chigiri-e, involves tearing and cutting handmade Japanese paper to create art. Kirigami involves cutting paper to create a silhouette. You can use your paper ‘paintings’ and cutouts to create cards, bookmarks and mobiles. Join jewellery designer and paper artist Mabina Alaka for a hands-on workshop creating traditional Japanese kanzashi flowers from fabric. Mabina will show you how to make petals and the other elements for a brooch. If you’d like to continue creating at home, you can purchase kanzashi tools on the night. 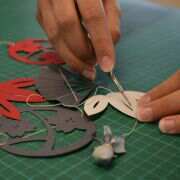 Learn how to make earrings with origami and stamped Japanese yuzen paper, coloured paper and findings for pierced ears. Local designer and specialist in traditional Japanese art forms Mabina Alaka will help you to create two pairs of earrings with the supplied materials. Additional materials and paper will be available for purchase on the night. 2.00–5.00pm | GOMA Tsumami Zaiku is a traditional Japanese craft that involves using small, square-cut pieces of cloth that is pinched and folded to create decorative objects. 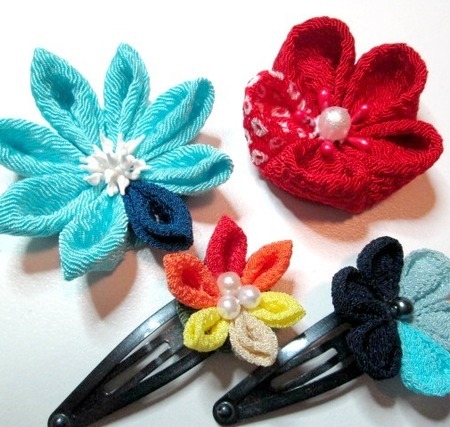 One common design is the beautiful Kanzashi flower, which can be used as hair ornamentation, jewellery or brooches. Create your own ‘Future Beauty’ inspired Kanzashi flowers in a special hands-on workshop with local artist Mabina Alaka, who will be generously sharing her knowledge and skills to help you create a unique, contemporary piece to take home. No experience necessary. Cost includes workshop materials and refreshments. Suitable for ages 13 and up. Join jewellery designer and paper artist Mabina Alaka for a hands-on workshop creating traditional Japanese Kanzashi flowers from fabric. Mabina will show you how to make the petals and the other elements for a brooch. 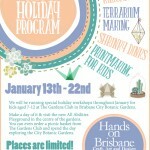 Learn how to make an origami box, decorations, Japanese gift wraps and ribbon ties for the festive season. Paper artist and jewellery designer Mabina Alaka will help you create standout Japanese styled wrapping for your festive season gifts. 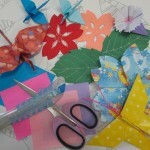 Use the techniques of kirigami (paper cutting using scissors) and origami (paper folding) to make a range of designs which can be applied to cards, garlands or used on their own as decorations. We provide Japanese washi papers including yuzen papers and cards and scrapbooking papers and all the tools and materials. Materials provided. Participants should bring pens and pencils, a notebook, scissors and a ruler. 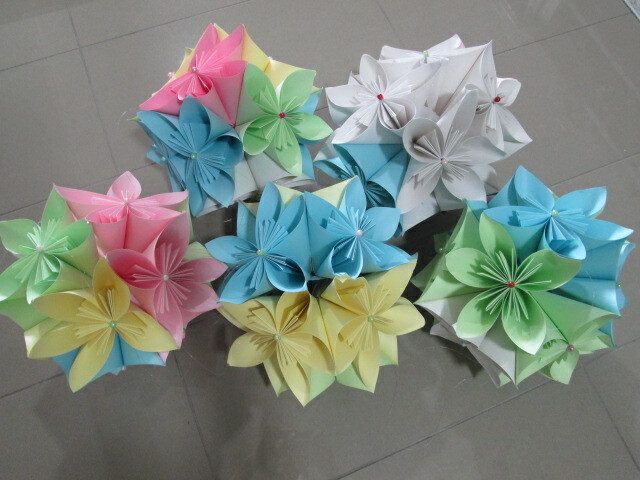 Using piles of second hand books learn to create a range of paper flowers including Kusudama; Japanese Folded Flowers. 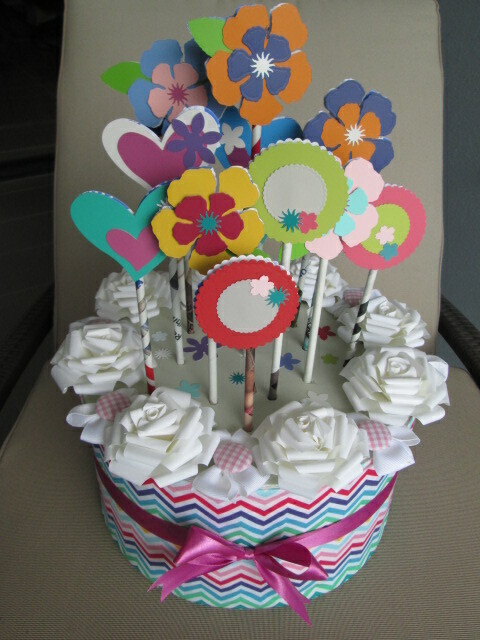 Paper flowers can be used in home décor, for wedding decorations and as accessories. 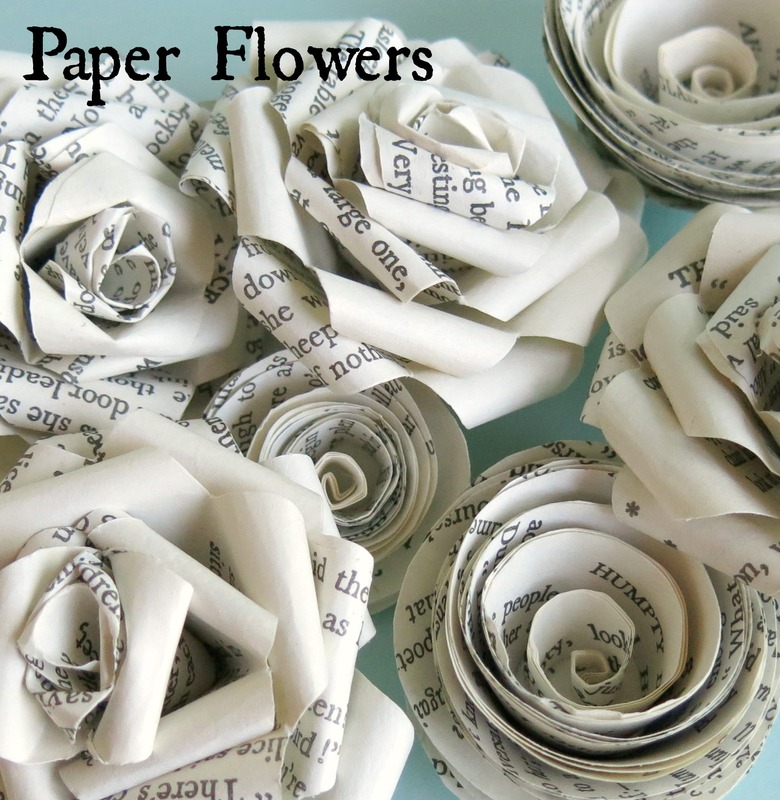 With the popularity of scrap booking there is no shortage of amazing papers to be found to turn into paper flowers.